This book marks the culmination of 2.5 years of difficult work on a story that I genuinely feared would never see the light of day. And now that it's about to go out into the world, it feels like a good time to celebrate! Please join us for the Sophie Quire Launch Party at Classic Lines Bookstore in Squirrel Hill. Sunday, April 3, from 3-5pm. Everyone's invited--please spread the word! For more information, check out the Facebook Event Page. ARCS of SOPHIE QUIRE coming this week! Hello pilgrims! 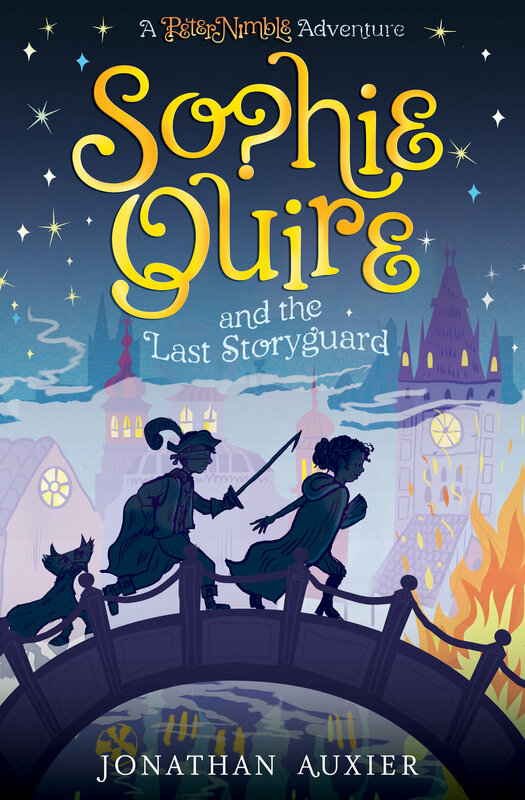 Just posting a note that I'll be at the American Association of School Librarians conference this weekend (Nov 6-7) with freshly printed arcs of Sophie Quire & the Last Storyguard! I'll be signing free books on Saturday at 11:30 (at the Authorpalooza event) and 5:30 (during the Meet & Greet). Supplies are limited, so if you want a book -- come early! 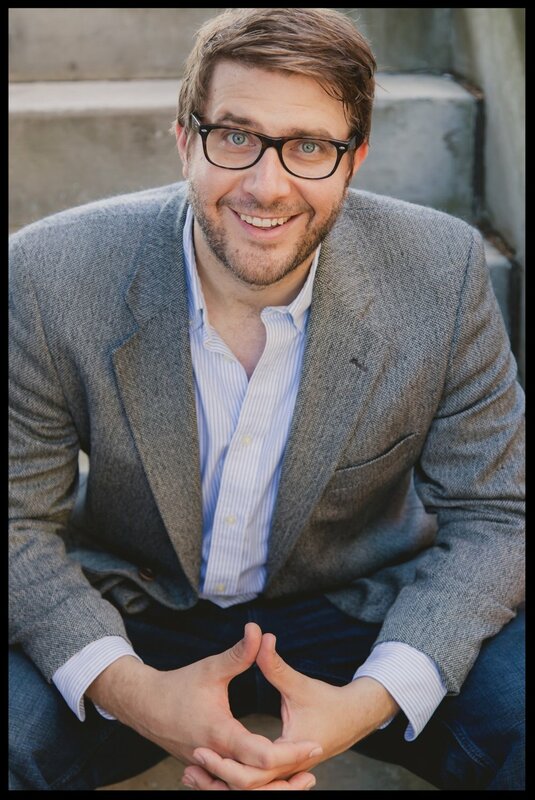 If you can't make the event, I'll also be at NCTE doing a "Nerdy Book Club" panel on Saturday Nov 21 and an ALAN "Whodunnit" panel on Monday, Nov 23! It's a NIGHT GARDENER Book Party! I'm thrilled to announce that I'll be having a Night Gardener launch party on Saturday, May 31 from 2-4pm. The event will be hosted by the historic CC Mellor Library in Regent Square. There will be snacks and activities for children of all ages--so bring the whole family! 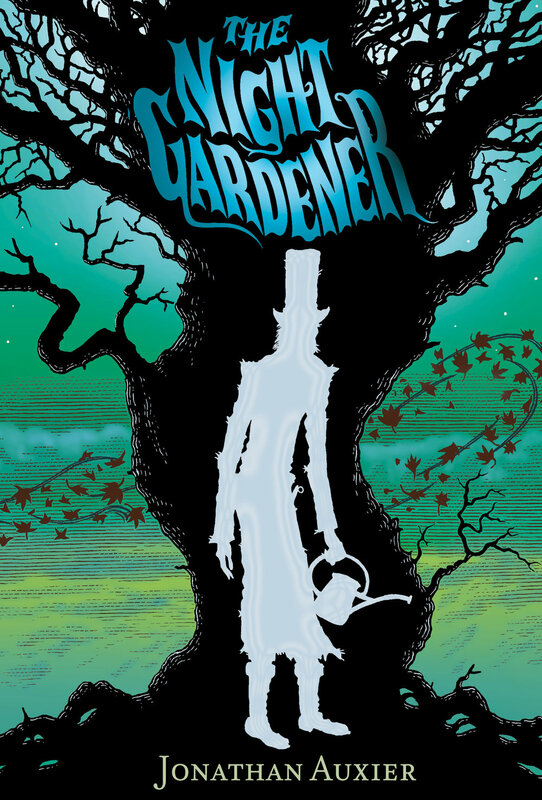 The folk from Mystery Lovers Bookshop will be on hand to sell copies of both Peter Nimble and The Night Gardener for signing. Please help spread the word by clicking this link--I'd love to see as many people there as possible! Up next -- I'll be signing books at NCTE in Boston! Hope to see you there! T his weekend, I had the pleasure of hanging out with thousands of English teachers at the NCTE Annual Convention.[1. The event felt very similar to ALA Annual, but with a somewhat smaller publisher presence ... which actually made it easier to connect with people.] I'm not a fan of Vegas, but I am a fan of English teachers, and it was a fun time packed with parties and luncheons and various meet-and-greets. I was able to reconnect with authors like Shannon Hale, Cecil Castellucci, and Jennifer Holm. I may or may not have teared up when I finally got to meet Jon Szieszka. I had a stack of 11x17" paper and a pretty steady line of people eager to receive crappy portraits -- so much fun! A lot of friends have expressed disappointment that they were unable to attend my launch party in August. Well, good news! The fine folks at Pittsburgh's own Penguin Bookshop are throwing a Peter Nimble book party! The event will be on Saturday, Dec 17th from 1-3pm. There will be hot cocoa, cookies, readings, games, and more! If you live or know anyone who lives in the Pittsburgh area, please tell them to come! I'll also be using this as an opportunity to introduce the community to my school programs -- so those of you who have been dying to see some costumes and yo-yo tricks would be advised to come! "Harnessing the Hurdles Unique to Your Work-in-Progress"
Of course, she was right. I have never had a shortage of story ideas, but the projects I actually finish all contain some ridiculous formal hurdle that makes them insanely difficult. Why write a feature film when I can write a silent feature film? Why tell a horror story when I can tell a horror story for children? Why inhabit the real world when I can build an entirely different world from scratch? Isn’t he cute? The workshop on Sunday will walk writers through the process of identifying the Pet Hurdle in their own work-in-progress and give them some tools for turning that challenge into an asset. 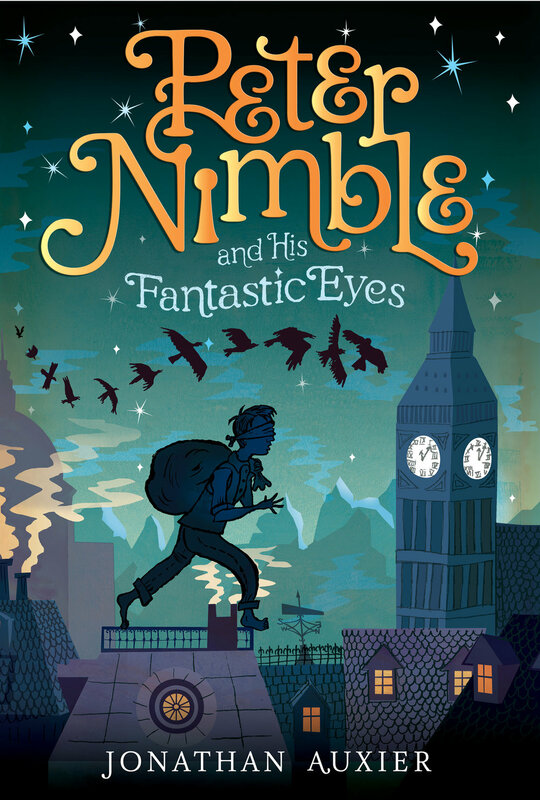 It makes me wonder: if Peter Nimble hadn’t been blind … would I even have finished telling his story? School Visits, T-Shirts, and Signings -- Oh my! I owe a huge thanks to librarian Joan McCall and B&N's Laurie Aldern for organizing the event. I've got a whole slew of signings and presentations in the coming months ... check out my events tab to see the full list. Once I get a few more of these visits under my belt, I'll be writing a post with tips about what I've learned presenting to schools. Until then, consider booking me in a school or store near you! I will be at the famous Mrs. Nelson's Books & Toys on Friday the 23rd at 5pm in conjunction with another school visit. And the following day (Sept 24), I will be at Chevalier's Books in Los Angeles from 1-3pm. The store is on Larchmont in Mid-Wilshire. For my LA friends, I urge you to please, please, PLEASE come to the Chevalier's signing. Seriously, what else are you doing at 1pm on a Saturday? Karissa Eckert - "A creative world, interesting plot, and wonderful characters make this a book that is fun to read and hard to put down." Nicola Manning - "A wonderful story that quickly grabs your attention with delightful characters one becomes fond of right away." Joceline Foley - "Peter Nimble and His Fantastic Eyes is a classic hero-on-a-quest novel, yet it manages to be anything but predictable and boring. The archetypal characters are fresh, funny, and smart." Aislynn Thompson - "The author did a fantastic job of weaving all the various stories of each character together - from the evil kind, the lost princess, the mysterious desert with the thieves, the crows, the missing children ... all of it was woven together into a story that I couldn't put down!" Francine Kizner - "Peter Nimble is a fun and exciting adventure story that brings a fresh voice and perspective to children's literature. It's enthralling, funny, and very entertaining." I've contacted the winners -- congrats, gang! I've had a number of people ask about buying Peter Nimble t-shirts. For those interested, you can grab one for $20 (this includes shipping). The shirts are hand-printed on American Apparel 50/50 tees. Please specify size (XS, S, M, L, XL) whether you want green or blue. Click below to pay through paypal, or contact me directly to mail a check. Barrie vs. Auxier: Narrator Showdown! I'm sure regular Scop readers are getting sick of all my recent publicity-style announcements about Peter Nimble. In that spirit, I am going to restrain my gushing about last week's book launch party to the footnote at the end of this sentence.[1. Holy crap, it was AMAZING! We had about 90 people show up ... which is a lot more than they had chairs for! I got a chance to meet so many wonderful readers, and reconnect with old friends. We gave away Peter Nimble t-shirts to everyone who asked questions. There was also a birthday cake, which was delicious! (I even forced the people to sing "happy Birthday" to me!) The biggest treat of all was that my father, who had just had emergency surgery in DC, checked himself out of the hospital that morning so he could show up and surprise me -- I may or may not have cried upon seeing him. For those interested in seeing some pics, you can go here, here, or here. Also, Adam Silva did a great rundown of the event here.] Instead, I want to focus on one question that came up during the Q & A from blogger/teacher Monica Edinger. Monica wanted me to discuss how I had patterned my narrator after the narrator in JM Barrie's Peter Pan.[2. I have a well-documented love for Peter Pan. Betsy Bird outlines a few Barrie connections in her School Library Journal review. Also, I talk about the relationship between one of my main characters and Wendy Darling in this interview with Bookpage Magazine.] Though flattered by the comparison, I didn't agree with her point. I wasn't able to sufficiently respond to her at the event, but I did follow up with an email, which I've excerpted below. Barrie's Narrator plays God. While my Narrator does occasionally press the "pause" button to explain something directly to the reader, Peter Nimble essentially reads like a retelling of historical events that the Narrator has no control over. Barrie's Narrator, on the other hand, holds all the cards. Consider how he suspends the children's approach to Neverland so he might explain how the place works. Doing so creates a sense in the reader that Barrie's Narrator is making up the story as he goes -- and should he need to invent a murder scene to show Hook's ruthlessness, then he will do so at his leisure! Barrie gives his Narrator a special vocabulary. If the digressions of Peter Pan indicate that the Narrator is spinning his tale, his language enforces it. More than once, Barrie uses opaque terms that have no grounding in the real world. A perfect example of this would be Mrs. Darling's "kiss," which never really gets explained. That's because there is no explanation beyond its offhand use. Unlike the teacherly essayists of the 18th century (and, I would argue, Peter Nimble's Narrator), Barrie's Narrator isn't interested in sharing/defining this special vocabulary with his readers. Barrie's Narrator sentimentalizes childhood. While Barrie isn't afraid to let his child characters get a little bloody, he still maintains an infatuation with their innate innocence reminiscent of the Romantics. Even in calling Peter Pan "heartless," there is a sense of longing in the Narrator's voice ... children are to him pure in a way adults will never be. I would argue that in the Narrator of Peter Nimble, we may find affection toward our young hero, but never adoration of the level that Barrie uses for Peter Pan... the Narrator of Peter Nimble, for example, would never suggest that Peter or Peg contains something special that adults like Professor Cake do not. Monica was kind enough to respond. While she agreed with my above points, she also thought I was ignoring one major similarity in our writing -- specifically how both our narrators are able to move between character perspectives. I've reprinted Monica's excellent response below (with some minor edits). When reading Peter Nimble I noticed the omniscient narrator as a character, breaking through here and there to explain things ... I became extremely aware of this sort of narration due to Philip Pullman.[1. Yes, she is on a first-name basis with the man! For those who are interested in the subject of the "sprite" narrator, I'd advise you to check out Monica's very-excellent post on the subject here.] Philip speaks of his narrator as a sprite, a character who can flit all over the place. I did think you did that as did Barrie ... isn't your narrator in that tradition of being able to be in different places, inside the minds of different characters, etc.? This is what Philip finds so fascinating about the omniscient narrator and me, too. And just like that, I'm forced to completely reverse my opinion on the subject! Going through the book, I realize that a narrator that shifts perspectives is a pretty rare thing, and other than Barrie, I can't think of another early author that does it. Well played, Ms. Edinger. And she's not alone! This very same topic came up last week in an interview with author Kate Milford ... and my response was similarly dense. Never trust a writer to talk about his own book. He's an idiot. This last weekend was the LA Times Festival of Books. I have somehow managed to live in LA for many years without ever attending. This year, however, I find myself actual in the publishing industry ... so I decided to check it out. I'm pretty sure this means my new LAYA friends will never talk to me again. With hindsight, I can see that this is a bit, shall we say ... desperate? At the time, however, I was simply thinking "Gee, people post these kinds of messages all the time and then get a zillion followers -- I want a zillion followers!" I hit "tweet" and waited for success. So how many new followers did I get? Zero. None. Not even a spambot. In fact, I lost a follower.[1. It was a Thai restaurant from Minnesota ... why they were following me in the first place, I'll never know.] If there's a moral to this story, it's something about how I should never again be allowed near a computer. Despite the shattering of my fragile ego, there has been one big upside to using Twitter: I've made connections with a number of interesting people in the children's book world -- people I wouldn't have met otherwise. For example, Deer Hill Elementary teacher Mike Lewis reached out and invited me to contribute a video to his school's annual Read Your Heart Out Day (warning: contains me in pajamas). Once I figured out (through Twitter, of course) what this event was, I asked if I could join the fun. The coordinators are nice people and said "dive in!" I'll be posting related pieces this Tuesday, Wednesday, and Thursday. In the meantime, check out posts about "the power of a book" at The Book Whisperer and Reading is Fundamental. ALA Midwinter . . . This weekend I'm off to the San Diego Convention Center for the 2011 ALA Midwinter Meeting! I know the location well from years of attending Comic Con. This time instead of nerdy comics fans, the place will be full of nerdy librarians. I expect to see lots of people dressed up as Nancy Pearl, Melvil Dewey, and Rupert Giles.